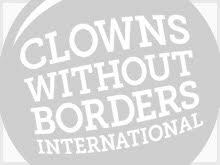 In May 1994, Clowns Without Borders Spain and Clowns Without Borders France returned together to Croatia. 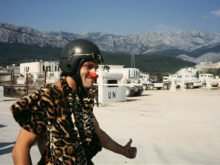 In August 1994, Clowns Without Borders Spain and Clowns Without Borders France returned together to Croatia, in Zagreb. In August 1994, Clowns Without Borders Spain traveled to Bosnia to support children suffering from the war in Ex-Yougoslavia. In September 1994, Clowns Without Borders Spain traveled to Bosnia to support children suffering from the war in Ex-Yougoslavia. In November 1994, Clowns Without Borders Spain went to the Gaza region to tour Israeli refugee camps. In August 1994, Clowns Without Borders Spain continued its action in Croatia and Bosnia to support children suffering from the war in Ex-Yougoslavia. In July 1994, Clowns Without Borders Spain continued its action in Croatia and Bosnia to support children suffering from the war in Ex-Yougoslavia. In June 1994, Clowns Without Borders Spain continued its action in Croatia to support children suffering from the war in Ex-Yougoslavia. 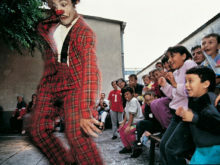 In 1994, Clowns Without Borders Spain traveled to Bosnia to support children suffering from the war in Ex-Yougoslavia.